MACDILL AIR FORCE BASE, Fla. -- Retired Army Sgt. 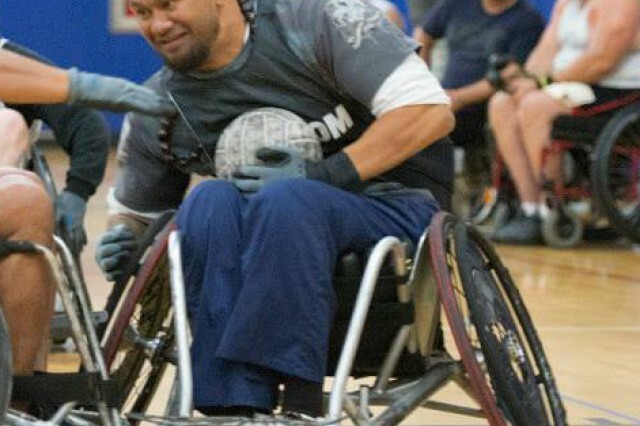 1st Class Sualauvi "Sua" Tuimalealifano, a member of U.S. Special Operations Command's (USSOCOM) Military Adaptive Sports Program (MASP), continues to progress beyond what medical professionals thought possible as he trains for the 2016 Invictus Games in Orlando, Florida. Sua served 13 years of his military career as an Airborne paratrooper, and later a jumpmaster at Fort Bragg, North Carolina, before injuries suffered in Afghanistan in 2007 left him paralyzed from the shoulders down. 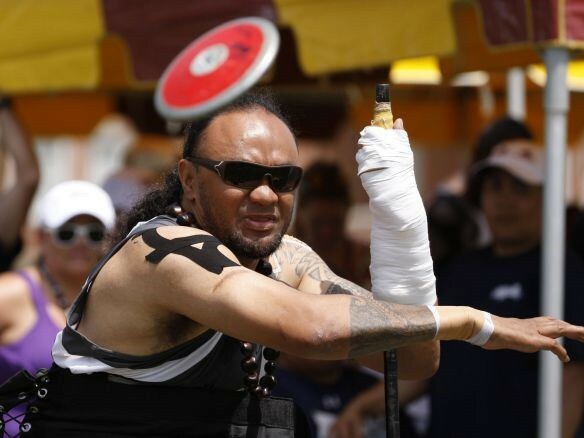 Throughout the years, Sua has worked to recover any movement and sensation possible -- now, with limited movement, he is able to compete in shot put and discus during the Invictus Games. Sua is one of 16 SOCOM athletes who will join the U.S. team, which includes the Army, Navy, Air Force and Marines, as they compete in adaptive sport competitions against athletes from 14 countries from May 8-12. Sua explains how competing in events such as Invictus helps his outlook on the future. 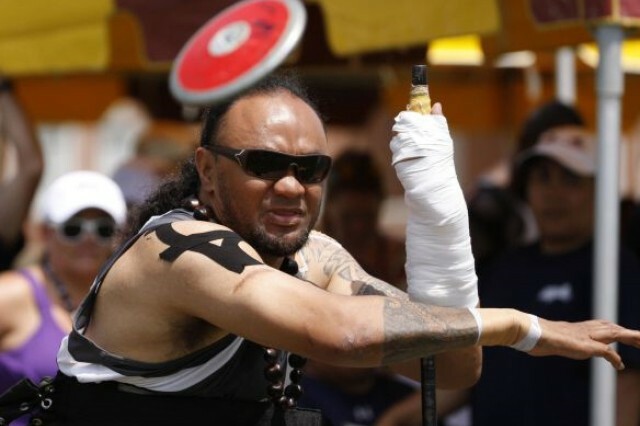 "The spinal cord injury has taken a toll of destruction on my body and mind," said Sua. "It (Invictus) puts you in the middle of unknown territory, making you realize there is still more out there and still more to be discovered and be a part of." 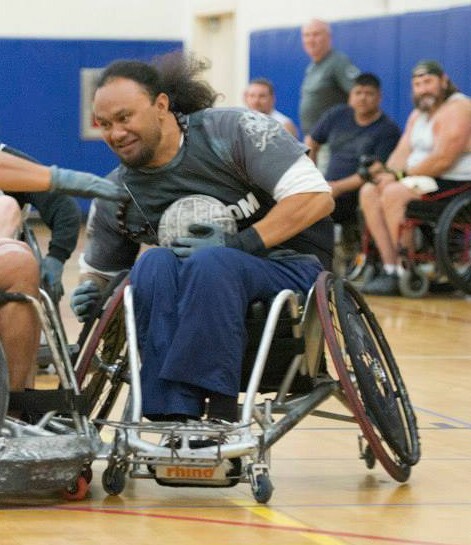 Sua continues to look ahead, as he is also competing in the 2016 Warrior Games, where SOF wounded, ill and injured will compete against adaptive sports athletes from the Army, Navy, Air Force and Marines. "Joining with other veterans allows us to accomplish greater things together as a family," said Sua. "With this injury, I am always finding ways to get better, awaken more nerves, strengthen the muscles in me that have gone limp and continue recovering in whichever new ways possible."